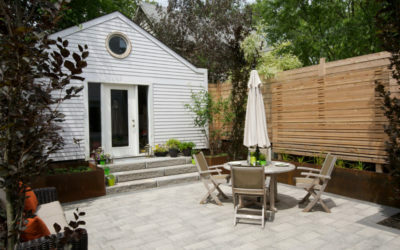 “I wish we’d done this years ago,” said the homeowner after we’d finished bringing to life the neglected backyard of a family of five. 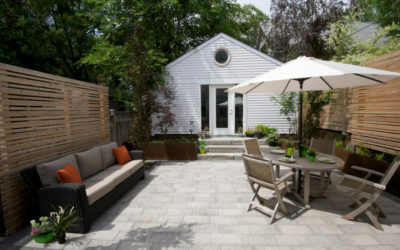 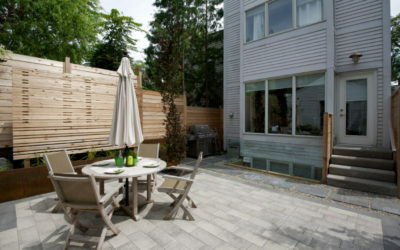 We worked with the existing grade to create a patio area bordered by metal planters. 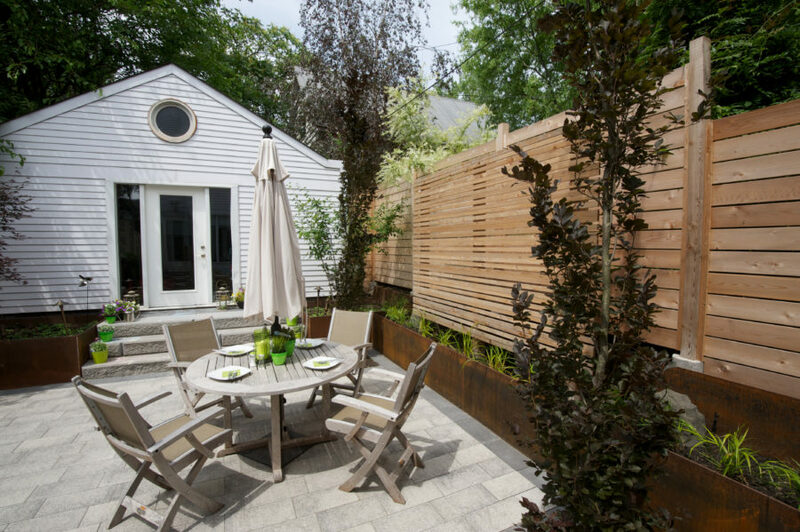 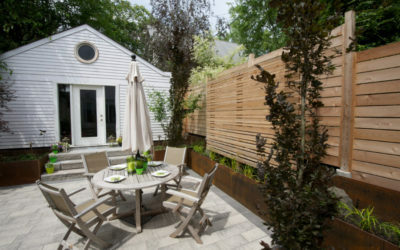 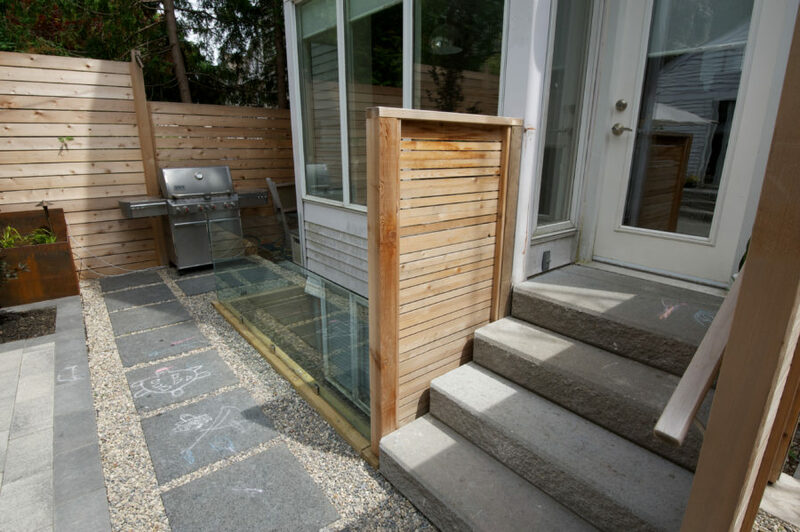 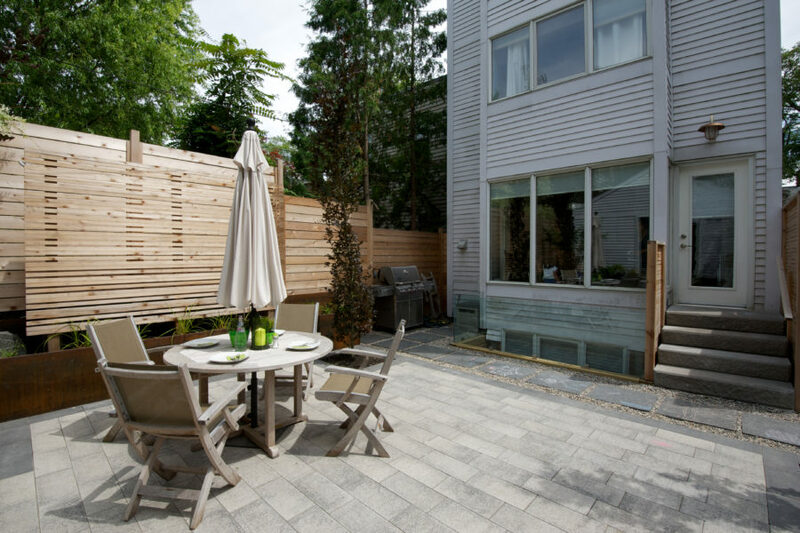 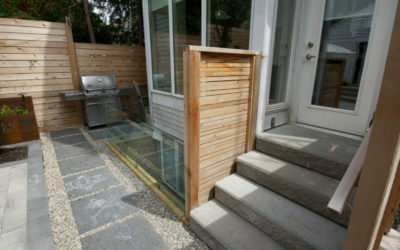 Instead of costlier fencing, the family opted for more affordable modern horizontal screens to create privacy while maintaining an open feeling to the space.